In August, we enrolled the boys in the public school 3/4 mile from our house. Until this year, we were a homeschooling family and while we followed a curriculum and I knew the boys were intelligent and thoughtful, there has been an adjustment to full-time school outside our home. When the opportunity came through my email to try out the Kaplan Online Tutoring program, I was eager to try it out. My boys are computer-savvy and their curriculum last year was primarily an online program. I wanted Colin to get some extra help in math and Nate to boost his reading skills. So far, the boys have been working in the program for a couple weeks. They each took an online assessment test which allowed Kaplan to determine what their current levels were and where they needed help. They each took the math assessment and received a score. Colin was a bit behind, so I'm eager to see his progress over the next few weeks. Nate was right on track, but a little extra help never hurt anyone! The reading assessment was a bit more involved. It took Colin a bit over 2 hours to complete and he felt frustrated by how long it took. Nate worked at the assessment and got frustrated after an hour. I contacted Kaplan and they quickly re-set Nate's assessment so that it will be easier for him to complete and will make a more difficult assessment available for him when he's ready. So far, I have been pleased with the program. The activities are engaging and a bit funny. The boys don't mind doing the work and I have already seen Colin improve his knowledge about angles. The program is very similar to parts of the online curriculum the boys did last year, so they are familiar with how it works and what's expected of them. With everything else going on, it's a struggle some times to fit in the time to do the online work (we tend to clip homework to clipboards so they can do it in the car), but Colin is eager to improve his math skills so I know he'll make the time to do the work. I will be posting again next month and letting you know how it's gone and what the boys' reactions have been. Until then, let's hope Colin learns his 8X multiplication tables! 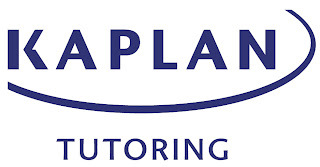 "I wrote this review while participating in a Test Drive Program by Mom Central on behalf of Kaplan and received the products necessary to facilitate my review. In addition, I received a gift certificate to thank me for taking the time to participate." Also try tutorteddy.com for instant and free math help from highly educated and dedicated tutors. Disney Live in Phoenix - GIVEAWAY! !